North Charleston has many hotels and restaurants within a short drive to the College of Charleston North Campus. 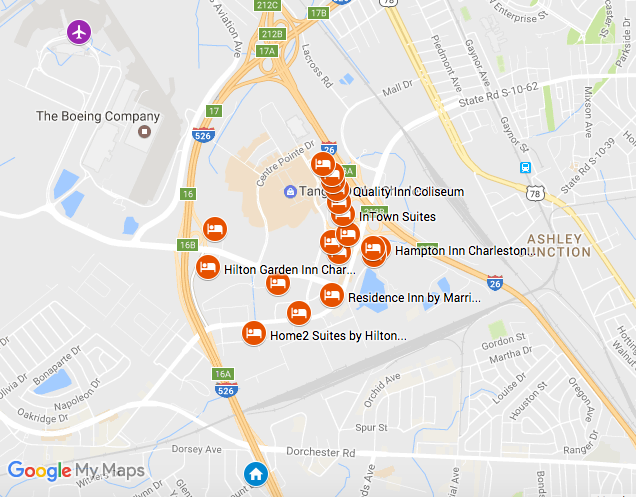 The map below displays the conference facility (CofC’s North Campus), hotels, and restaurants but there are many more available. Click on the map for more information. Parking at the North Campus is free!